On Tuesday evening, Feb. 5, 2019, the Recording Academy announced that music's biggest night would be getting the Mother Monster treatment for the fifth year in a row, Entertainment Tonight reports. At the time of this writing, it's unknown what Lady Gaga (real name is Stefani Germanotta) plans to perform. 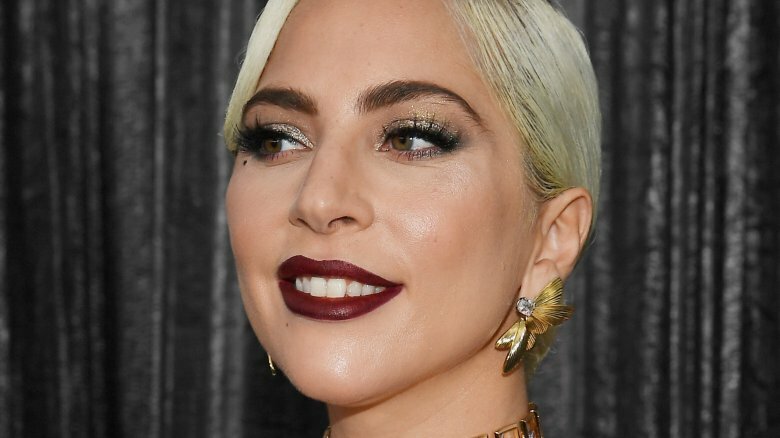 However, her nominated songs include the Golden Globe-winning duet "Shallow" from A Star Is Born and "Joanne" from her latest album of the same name. That said, it should be noted that the singer-actress' A Star Is Born co-star, director, and fellow nominee, Bradley Cooper, will be attending the 2019 BAFTA Awards in London this weekend in lieu of the Grammys ceremony (via Deadline). However, the duo are set to perform "Shallow" at the upcoming Academy Awards. As Nicki Swift previously reported, other artists ready to perform include Cardi B, Camila Cabello, Shawn Mendes, Janelle Monáe, Post Malone, Dan + Shay, and Kacey Musgraves. Filling out this year's impressive line-up are the likes of Miley Cyrus, Brandi Carlile, Dua Lipa, St. Vincent, Travis Scott, Mark Ronson, Chloe x Halle, H.E.R., Dolly Parton, and Diana Ross (via ET). According to People magazine, singers Fantasia Barrino, Yolanda Adams, and Andra Day will team up to perform a special tribute to the late Aretha Franklin. The Queen of Soul sadly passed away at the age of 76 in mid-August 2018. This year's Grammy nominations were announced in early December 2018. Rapper Kendrick Lamar leads the pack with eight nominations, with Drake following closely behind with seven. Meanwhile, Lady Gaga herself is tied with Cardi B and Childish Gambino, having scored five nods each.